The Government has released plans to improve road safety – and this time, they’re raising the profile of dashcam evidence as measures to combat road rage, encourage more mutual respect between road users and protect the vulnerable. We have recently been inundated with queries about best options when it comes to dashcams and recording equipment. And it appears that dashcam awareness is about to get a whole lot more interesting. The initiative launched by the Government builds on the success of Operation Snap – a successful programme first piloted by North Wales Police in 2016 – and will allow police to handle video and photographic evidence submitted via dash cams. It’s clear that the focus is road safety – and improving it. There is a distinctive focus on protecting vulnerable road users such as cyclists, pedestrians and horse riders. In the areas where we operate – our roads are shared, daily, by all of the above – and being able to co-exist amicably is becoming paramount. The Department for Transport will also be working closely with courier and delivery companies to review incentives for drivers who undergo training in driving safely alongside cyclists, pedestrians and horse-riders. It’s easy to pick one up at your local service station or supermarket – but unfortunately, what many users don’t realise is that evidence submitted requires a certain amount of detail. There will be situations when you need to clearly be able to identify a user’s position on the road, their registration plate number, or any other identifying factors that could be used as evidence. And that’s where many cheaper, budget cameras simply don’t stand up. The worse thing is that for users who have the need to use that critical information, it’s simply too late to realise that they should have bought a higher standard. That’s why we sell the Thinkware Camera range. Forward-facing, rear-facing, wifi enabled, internal or external – get in touch to discuss your requirements – and let’s get you, and your vehicle, protected today. 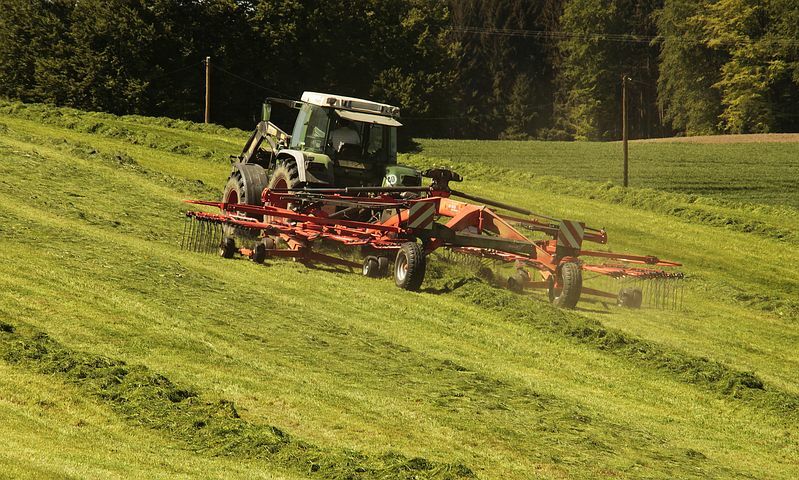 According to the Health & Safety Executive, the most common cause of serious injury and fatality in the farming industry relates to the movement and overturning of agricultural vehicles. If that’s not enough reason to worry, NFU also confirmed that in March 2017, the cost of farm theft claims doubled in March 2017 compared to the previous year. Seriously worrying statistics. And there’s no clear sign that that figure is going to be improving. Your vehicles are your livelihood – and if they’re not looked after, neither are you. Living in the heart of the SW, the farming community is the cornerstone of our county – and so we appreciate that the financial hit that a farmer takes due to the loss of an agricultural vehicle, or an insurance claim against an injury, especially during a peak season of harvest and production, could, quite literally, break their entire annual income – with devastating knock-on effects felt long after the vehicle has gone. Because of that, Motorsparks is proud to offer security and vehicle monitoring solutions that help in the fight against agricultural crime. Whether you’re looking for an immobilisation solution, a vehicle tracking system that tells you when and where your vehicle is being driven, a camera that records how your vehicle is being driven, or anything else that may help you feel confident about the safety of your equipment, we’d love to help. 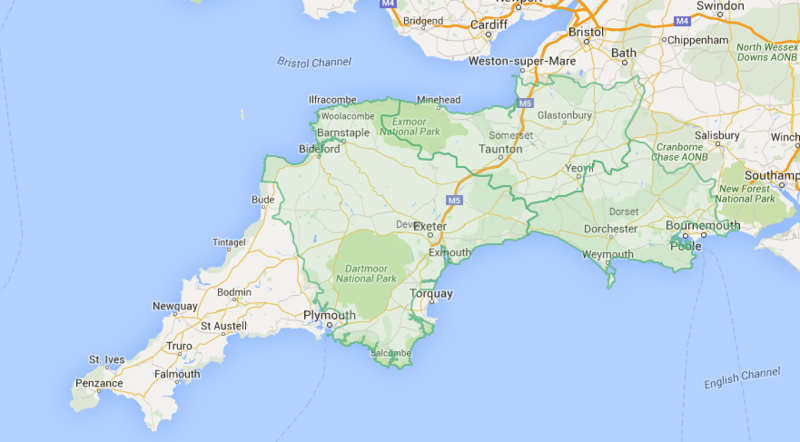 We’re Beaminster-based – and have worked in the telematics business for over 20 years. We’ve worked on anything from a bike to a buggy to a boat and several different types of industrial plant machines and cranes. We’ve got great news. 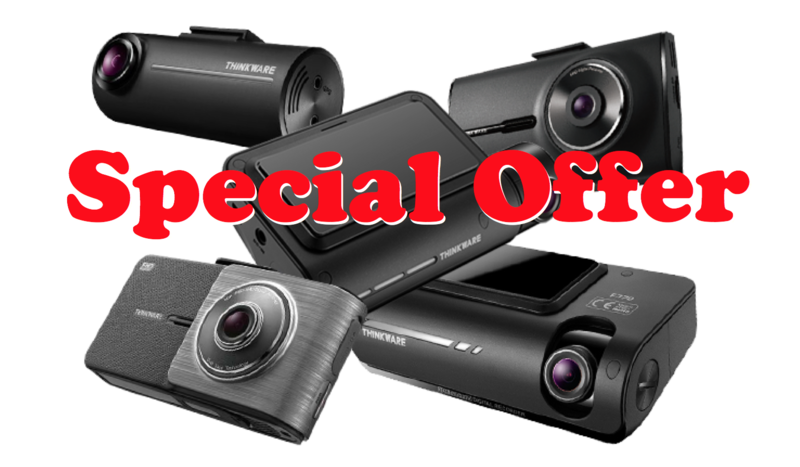 If you’ve found this page – then you’re eligible for a Spring Motorsparks discount on the Thinkware Dash Camera range. Many people realise far too late the value of a good quality dash camera. 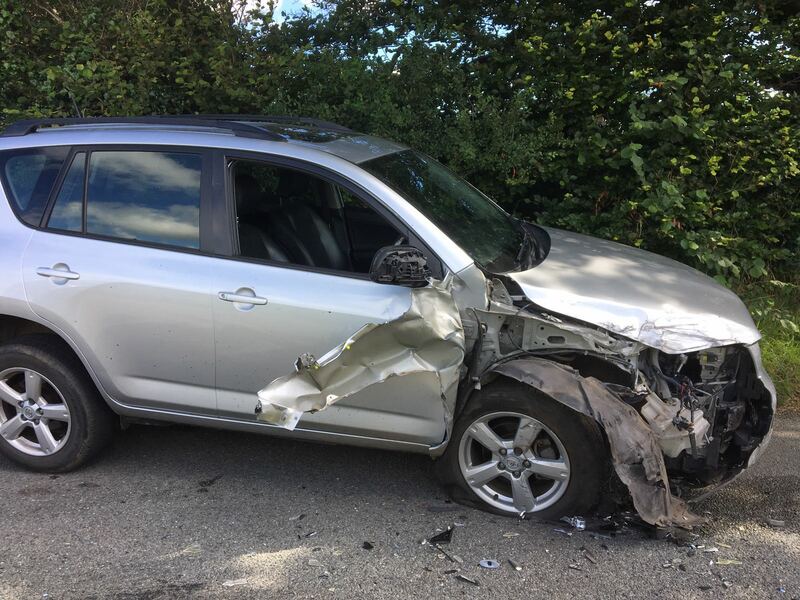 We recently had first-hand experience ourselves when another vehicle travelling along a quiet country lane in Dorset, simply wasn’t paying attention, and proceeded to write our own vehicle off. And now you have the chance to get your hands on the best camera available in the market today. Whether you drive a commercial van, or whether you need something for your personal vehicle – the Thinkware range has something for everyone. Simply get in touch with us and quote the special offer code of FB0418 for a 15% discount. This offer runs until the end of April, so act fast! Want to know which camera is best for you? We know that in this day and age, the electricity circuit on most new cars often require a translation manual to decode how it all works! But when it comes to looking after your classic car, that’s when things get interesting. Denny has owned his own classics. 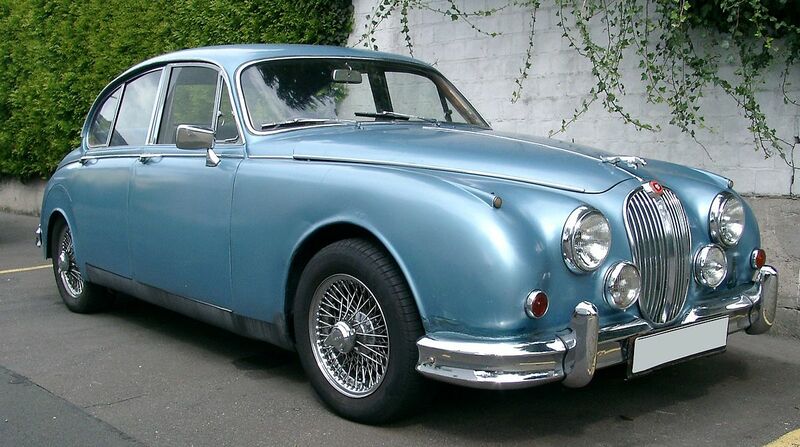 In fact, his very career started through the re-building of wiring looms of Mk II Jaguars – many years ago. Understanding how everything fits together, and where potential risk areas lie, is an art unto itself – which is why you need specialist knowledge when it comes to diagnosing faults, and sorting out, electrical faults with your classic car. From accessory fitting, to complete re-wiring, there is very little that Motorsparks has been involved in. But there’s something more to simply fixing the problem. We are passionate about classics. Fanatical, almost. And we know (and appreciate) the care you expect on a car that is very quickly becoming a legend of the history books. We’ve owned our own, and we understand the finer detail of getting things working, as they were intended to. Currently, Denny’s passion is his 1980’s VW Camper Van, but has worked on a wide range of classics heralding from the 50’s, 60s, and 70s. If you’d like to know more about how we can help, get in touch with us today. 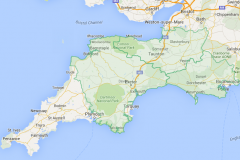 Recently, we had the unfortunate opportunity that required us to rely on quality dash camera data after a head-on collision on a country lane in Dorset. Unfortunately, the driver in the oncoming vehicle was simply not paying attention – and because of that, wrote our vehicle off. Thankfully, nobody was injured. The footage supplied from the Thinkware Dash Camera installed in our vehicle meant that the driver of the oncoming vehicle was 100% to blame. 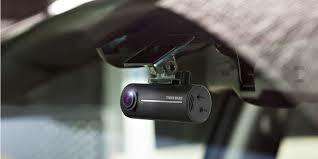 If you’d like to discuss dash camera options for your own vehicle, get in touch with us today. Mobile phone laws are changing. Don’t get caught out by losing your licence. It’s no secret that the authorities are trying to crack down on wreckless and irresponsible driving habits. 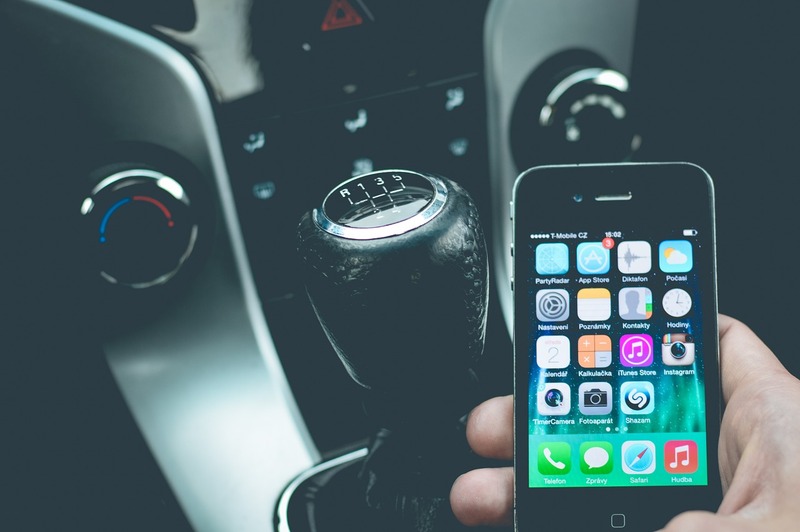 According to the BBC, “In 2015 – the latest year for which figures are available – 22 people were killed and 99 seriously injured in accidents where a driver was using their phone”. So it’s no wonder that it’s time to change a habit that has crept in causing major upset on our roads, and serious consequence to our families and loved ones. As of 1 March, penalties for using a phone at the wheel double to six points and a £200 fine. New drivers who get six points or more must retake their practical and theory tests. More experienced drivers can be banned if they get 12 points in three years. It is serious – and it’s time to become vigilant. There is only so much that you as a concerned parent or authority can do – and then you need to rely on technology to help you. 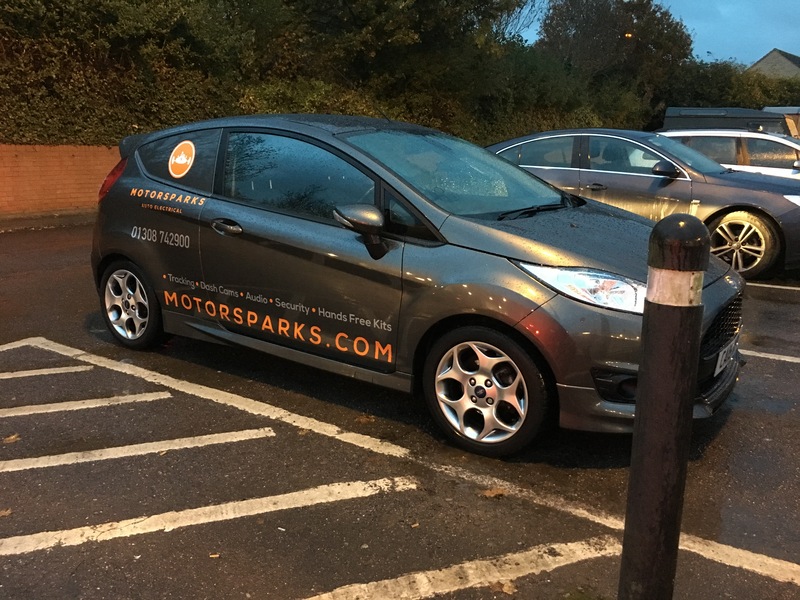 Motorsparks is proud to work with some of the best telecommunication suppliers in the industry – and whether you’re looking for a solution for a hands-free kit, or whether you’re looking for in-vehicle monitoring systems – we can help find you what you need. 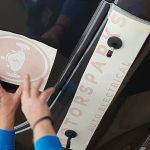 As an approved distributor of the Thinkware product range, Motorsparks provides a wide range of options for forward and rear-facing cameras that protect you when you need it most. With the mobile-related vehicle incidents on the rise, it’s important for you to be able to look out for your own loved ones – and that’s where good quality dash cameras serve as your eyes and ears when you are not present. Unfortunately – the “cheap and cheerful” options you get from mainstream retailers sometimes simply don’t suffice – and so often it takes something as serious as a vehicle collision to realise that you should have invested in a high quality solution that simply won’t let you down. Whether it’s the Parrot range, or a bespoke mobile-operator solution, we’ve worked on them all. If you’re looking for a solution that provides connectivity for you while you’re driving, then speak to us. We’ll help you find the solution you need that keeps you safe and in control of your vehicle at all times. The laws are changing – and so should your habits. So get in touch us today to speak about how we can help to keep you safe and in control. 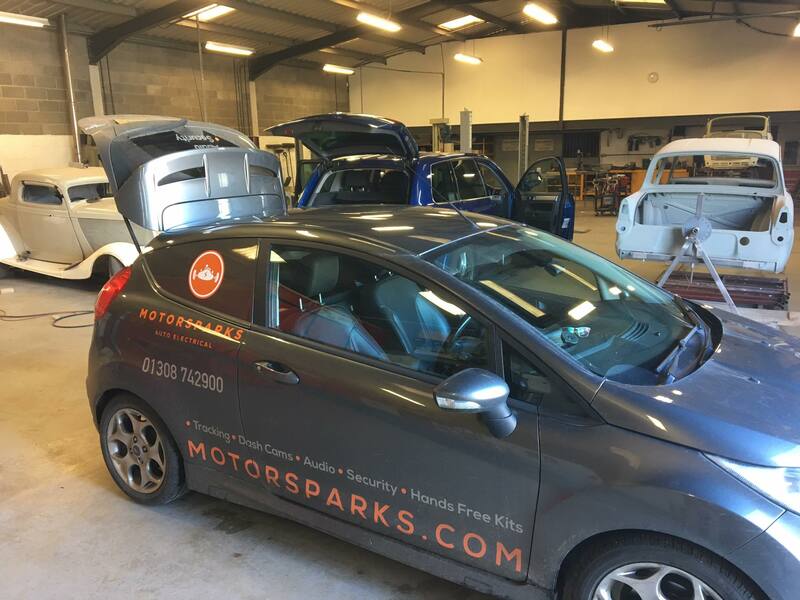 AJ Dean Transport gives Motorsparks the thumbs up! Being a small business – receiving good feedback from those customers that we serve is so critical to us ensuring that we deliver only the best, and keep improving where we can. 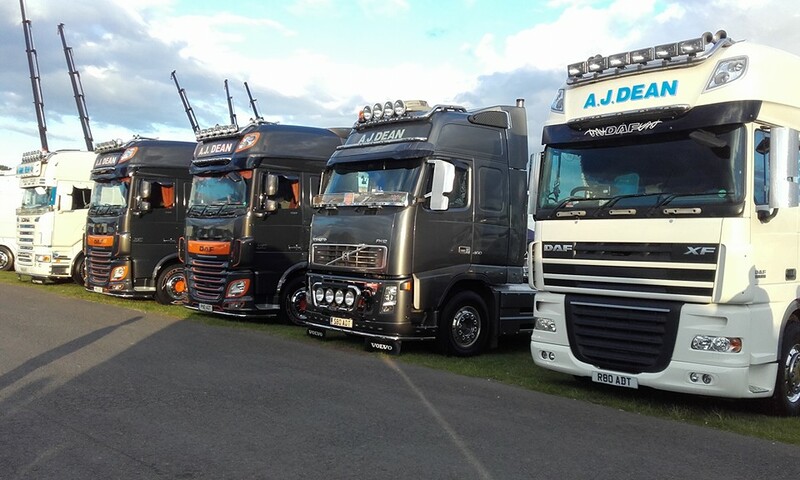 This week, we were so honoured to receive some great feedback from Andy Dean – owner of Southampton-based Haulage company A.J.Dean transport. Serving customers is our passion – and it shows in our calibre of work! Thank you, Andy, for your support. 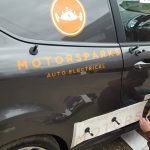 As the chilly season approaches, and the first layers of frost start to cover our gardens – the Motorsparks team wanted to bring something to your attention – something that may never have even crossed your mind. For those of us who may not have the heated wind-screen luxury of an instant de-ice, or a car heater that turns our vehicle into a volcanic hub of happiness, we have to make do with the traditional ice-scraping, turn the car on, turn the heater on, run inside while the vehicle de-frosts and you finish your cup of tea, or get the kids together. Did you know that in these 5 – 10 minutes renders one of the most popular times for car thieves to strike? Never leave a car unattended with the keys in the ignition – let alone with the vehicle running. 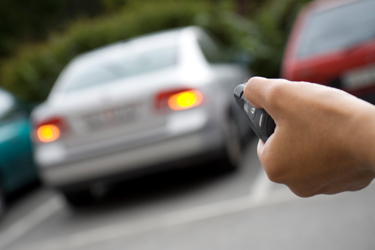 The best way to keep your vehicle safe is to have a tracker installed – so that if the inevitable does happen, the chances of it being recovered are so much greater. The AA recently posted a great article about exactly that – and the risks that the chilly season brings. So – next time you arrive to find your windscreen iced up, and the car freezing inside – don’t turn it on and run. Brave the elements, for just a few minutes and who knows – it may just be the thing that protects you against losing your vehicle – just when you need it most. Want to talk about vehicle safety solutions for your car this winter? Talk to us. As most people running their own business would appreciate – getting to that moment where you see your business, which was once a little idea conceived over a cup of coffee or a pint of beer, start to emerge as a real, tangible thing, is probably one of the most exciting parts of any start-up business. 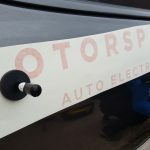 So one would not be surprised at our excitement in the Motorsparks team today when we finally had our Motorsparks van sign-written with our beautiful new branding, created by Daniel Warburton from World Wide Warb. (Yes, the very same chap that has designed for the greats like Bonobo, Orbital and our personal favourites, the Lancashire Hot Pots). 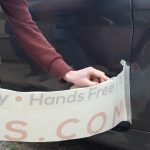 So, after looking for a reputable vehicle sign-writer (and yes, we’ve seen some nasties in the field), we took a chance with Andy and Jamie from The Graphics Factory based in Chard, Somerset. 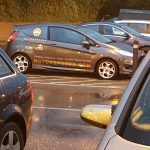 This father and son team design, print and administer almost any type of graphic for vehicles and have already a strong following from other local business. 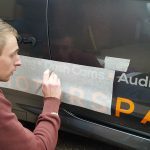 We also discovered that apart from the vehicle graphics, they are masters in other large-print solutions too – and between the two of them, can turn their hand to almost anything, as I noted their branded clothing and the wall-clock which Andy just “knocked together”. And a pretty good job he did too! Thank you both so much for the superb work you’ve done. Your eye for detail, meticulous measurement and quality of work just adds to our pride. We’d have absolutely no reserve in recommending this incredible business. And if you have questions – get in touch! We promise to post more pictures of our van – when it’s not raining!! In the meantime, here’s a little gallery of the work in progress!